The debate on standardization versus adaptation is everywhere apparent and addresses the question whether and to what extent consumer behaviour differs between countries. While some studies confirm the assumption of one single pan-European market, another stream of research emphasizes that European countries continue to possess predominantly distinct market identities and favour multi-regional strategies. Thus, in the tension between worldwide standardization, national customization, and hybrid approaches such as “glocalization,” the aim of this chapter is to shed light on the importance of cultural differences and similarities in international marketing. 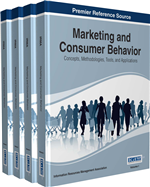 After discussing the meaning of cultural influences for marketing management in general, this chapter presents the results of a meta-analytic literature review concentrating on consumer culture in the food and beverage sector. Against the backdrop of a longstanding tradition of unification of the European market as reflected in the European Union and agreements in political, financial, and economical aspects, the assumption that the Europe can be treated as one single market seems apparent (Steenkamp & Ter Hofstede, 2002). From a consumer point of view, the availability of global technologies, media and communication channels, the increasing mobility and similar education systems suggest that consumer needs and desires homogenize across countries and consumer segments converge across blurring national boundaries (Lemmens, Croux & Dekimpe, 2007). As a consequence, a standardized pan-European marketing strategy would leverage economies of scale and allow coordinated competitive and strategic management decisions (Yip, 1995; Özsomer & Simonin, 2004). While some studies confirm the assumption of one single pan-European market, another stream of research emphasizes that European countries continue to possess predominantly distinct market identities and favour multi-regional strategies (Lemmens et al., 2007). As the concept of culture is becoming more diffuse, and “global culture is shared not so much between countries as between particular individuals within countries” (Steenkamp, 2001, p. 37), there is a need for a profound understanding of the cultural manifestation in consumer behaviour (Craig & Douglas, 2006). Thus, in the tension between worldwide standardization, national customization, and hybrid approaches like glocalization (Ritzer, 2004), the aim of this chapter is to shed light on the importance of cultural differences and similarities in international marketing. The remainder of this chapter is as follows: First, we present selected definitions of the concepts of culture and consumer culture as well as existing conceptualizations of culture in international marketing. After having discussed the meaning of cultural differences or similarities for marketing management, we present the elements of the conceptual framework of this chapter. Based on this, we present the results of a meta-analytic review concentrating on consumer culture in the food and beverage sector and finish with some concluding remarks.